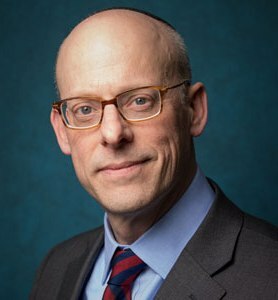 Doron Stern ’81YUHS joined Yeshiva University as the vice president of communications last month. He oversees all communications and marketing activities, including branding, media relations, print and digital marketing collateral, websites and social media outreach. Stern has over 20 years of marketing experience, including executive roles within multiple retail and consumer-driven industries as well as a strong expertise in brand strategy, digital marketing, community engagement, customer activation and public relations. As vice president of marketing at Chobani, Stern helped grow annual revenue from $30 million to $900 million in just four years. As vice president of marketing for Popcorn Indiana, a national popcorn brand, he led marketing, as well as new product development and innovation. Prior to these roles, Stern held senior marketing positions at IDT Corporation and L’Oreal USA, and served in strategic roles for two New York-based advertising agencies. Most recently, Stern was CMO for GoHealth Urgent Care, where he tripled growth within two years to reach 80 urgent care centers across four markets. Stern received a BA in history from Brandeis University and an MBA in marketing from New York University. He also has ties to YU. He is a graduate of the Marsha Stern Talmudical Academy/YU High School for Boys and has a daughter attending Stern College for Women. 1. What profession did you think you would hold when you were in school? I was always fascinated by the world of advertising – particularly how brands were able to reach their audience with a compelling, differentiated message in the context of an entertaining and disarming story line. 2. What aspect of your job with YU are you most looking forward to? To optimize the potential of this great institution. 3. How has your past work experience prepared you for your current position? I like to believe I am able to combine strategic insights with fresh, creative solutions. My experience at ad agencies, established corporate environments and fast moving start-ups has exposed me to a range of sensibilities and approaches. 4. What are some of your goals for the Office of Communications and Public Affairs (CPA) and what progress have you made? Amplify the truth around our key pride points – including performance, leadership and scholarship. 5. What would your colleagues be surprised to learn about you? I am an insufferable NY Jets fan – can’t help it. It’s in the DNA.